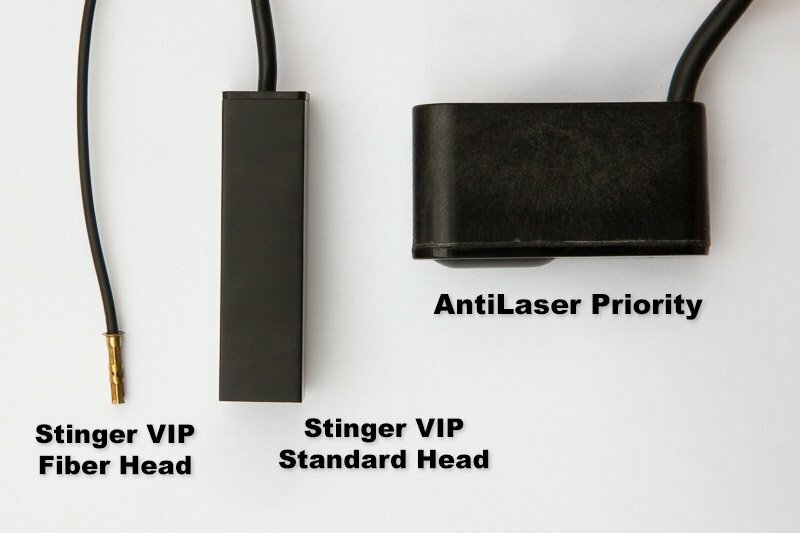 Stinger just announced on their website that they’re going to be releasing laser jammers that use fiber optics for not just the transmitters like they do now, but also for the receivers. This is pretty awesome news. 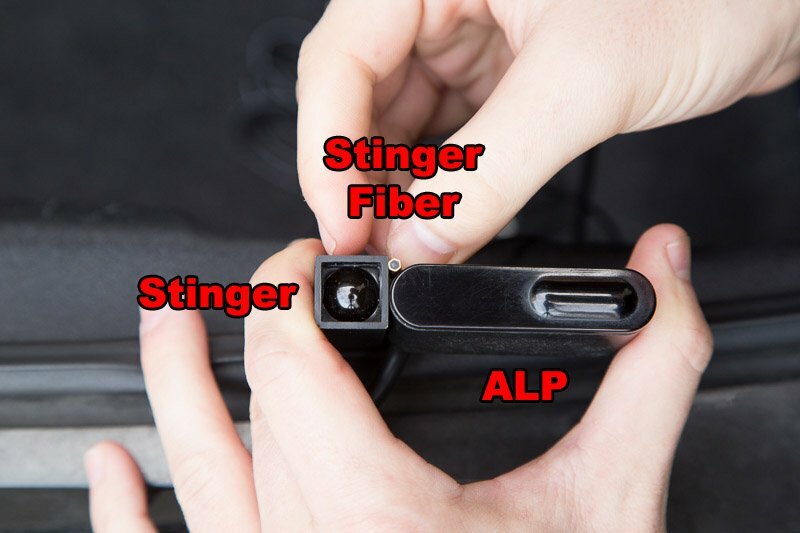 Check out how small the fibers are compared to the ALP head (right) or even Stinger’s normal receiver (left). 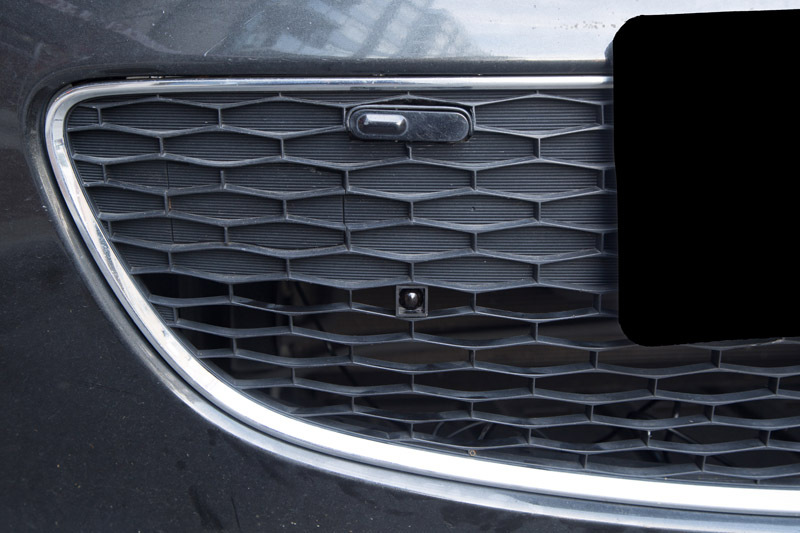 If you’re looking for a visually appealing and/or otherwise stealthy and impossible to see laser jammer install that doesn’t compromise the aesthetics of your vehicle, this is going to be just about ideal. Check out how teeny the fiber head is (at the bottom of my grill) compared to the ALP and normal Stinger heads. Now the big question has to do with the performance. I was never wildly impressed with the jamming capabilities of Stinger’s jammers. They’ve long had struggles to achieve JTG performance and they’ve had a variety of different bugs. I’ve only seen one or two people who’ve achieved consistent JTG performance (the laser gun is unable to get a speed reading on the vehicle at any point), but that’s more of the exception than the norm. Most people, myself included, got a pretty fair amount of PT’s (punchthroughs). If, and it’s a big if, Stinger can improve the software side of the product as well so that it consistently reliable and effective, this is gonna be a really exciting jammer. Here’s the full discussion on RDF.